A classic Ant and Bee reissue to treasure. Over 65,000 Ant and Bee reissues already sold! First published in 1950, Ant and Bee were in print for over 40 years. 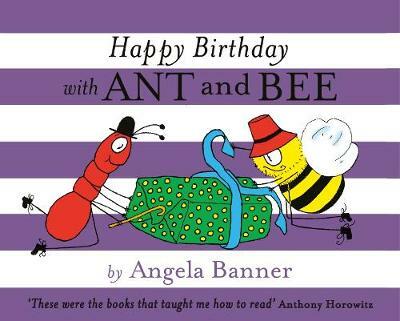 These updated editions feature revised text and illustrations by original Ant and Bee creator Angela Banner. Ant and Bee is a classic brand, and the delightful and much-loved characters are instantly recognisable to thousands of diehard fans today. Ant and Bee teach children to read via word recognition and encourage story sharing with siblings and parents. The much loved characters are back to teach a new generation of children to read along and aloud. These classic titles have been re-illustrated by the original author Angela Banner, 50 years after they were first published. This Ant and Bee adventure introduces children to the days of the week.